Turkey has been acting pretty erratic these past couple of weeks, launching a surprise dual offensive in Syria and Iraq, condemning Russia for alleged ‘oppression’ against the Crimean Tatars, and suspending the Balkan Stream pipeline negotiations. All of this is somewhat unexpected – after all, Turkey had thus far refrained from the US’ pleas to launch a conventional attack on Syria; never had any serious issues about Crimea’ reunification before; and had earlier agreed to the Balkan Stream in order to enhance its own geostrategic clout. While each of Turkey’s actions pertaining to these three circumstances can be attributable to their own situational peculiarities, they all share two inseparable components, which are Erdogan’s electioneering efforts prior to the probable snap vote and his pipeline posturing with respect to Balkan Stream gas discounts. The article begins by briefing the reader about the ‘official story’ behind each of Erdogan’s seemingly erratic actions in the three aforementioned situations. It then segues into a deeper, more focused look at how the two inseparable components clearly explain the real motivation for his decisions. Finally, the piece wraps up by assessing the success of Erdogan’s initiatives as regards his true motives, concluding that while he might succeed in garnering enough nationalist votes for a forthcoming parliamentary majority, he’s clumsily slipped up when it comes to increasing his bargaining position vis-à-vis the Balkan Stream talks. According to the Turkish authorities, the Suruc bombing was carried out by ISIL and proved to be the trigger for Ankara’s supposed attacks against it in northern Syria. At the same time, if those same authorities are to be believed, the Kurds just so happened to reinitiate their insurgency against the Turks for no reason whatsoever, which is why Erdogan is also bombing northern Iraq now, too. The happenstance timing has thus resulted in Turkey waging dual offensives against both Syria and Iraq, heralding in a grandiose return to the Neo-Ottoman policies that were thought to have largely been put on the backburner over the past couple of months. Turkey did not and will not recognize Crimea’s annexation. Our priority in the Ukrainian crisis is peace, prosperity and security for Crimean Tatars. We are taking every step and conducting all necessary negotiations in order to overcome pressure and difficulties they are facing. You can be sure that we will continue our support. In Erdogan’s official understanding, the Crimean Tatars weren’t oppressed by their negligent and totally incompetent former Ukrainian administrators, but are somehow brought to a sudden state of duress by the same Russian authorities that they themselves voted to reunify with. Turkey’s last majorly ‘erratic’ move has been to temporarily suspend talks on the Balkan Stream project. Media reports indicate that this was because Russia wouldn’t agree to the low-ball discount price that Turkey was proposing for its domestic imports. Officially, however, Turkish Energy Minister Taner Yildiz said that while there are certain disagreements between both sides (over Syria, recognition of the Armenian Genocide, etc. ), the decision to cooperate on Balkan Stream hasn’t been affected by them, and that the real reason for the temporary hold-up is that Turkey still needs to form a coalition government. Russia has gone along with this charade for the time being because it realizes how counterproductive it would be to push back against Turkey’s semi-plausible explanation at this time, despite how obvious it appears that the dispute is over pricing. As fully explained in the author’s recent article about this topic, one of the main considerations guiding Erdogan’s military initiative is that he wants to simultaneously attract votes from the conservative Nationalist Movement Party as well as justify the suppression of the People’s Democratic Party. The end goal of this Machiavellian scheme is to ensure that his AKP party receives the parliamentary majority that he’s hoping for so that they can amend the constitution and institutionalize a stronger presidency. Although not as significant as the electioneering motivation or the anti-Kurdish American-laid trap he’s fallen into, Erdogan does realize that his moves in Syria could potentially be used as a bargaining chip for negotiating a lower gas price from Russia. Ankara has yet to fully commit to attacking Syria in an all-out conventional offensive as has been feared, choosing only to launch airstrikes and artillery barrages for the time being. This may not be solely ascribable to Erdogan getting ‘cold feet’ at the last minute or playing some type of ‘hard to get’ game with the US, but could be partially due to Ankara’s hope that its delayed offensive could be permanently put off if Moscow suddenly acquiesces to the proposed discount in gas exports to Turkey. Likewise, even if it is initiated (as it’s been threatening), Turkey could call it off or scale it down as part of a more robust, multifaceted deal with Russia. After all, Lavrov and his affiliates are engaged in a flurry of shuttle diplomacy over the conflict escalation in Syria (that Erdogan himself helped create with his latest offensive), with the Russian Foreign Minister meeting with Kerry in both Doha and Kuala Lumpur, and Russian Special Envoy to the Mideast Mikhail Bogdan meeting with the Syrian and Iranian Foreign Ministers in Tehran. Factor in that Putin has suggested a regional anti-ISIL coalition comprised of Turkey, Syria, Iraq, Jordan, and Saudi Arabia, as well as Moscow’s recent inroads with Riyadh, and it appears as though the Eurasian giant might be more than willing to cut a pipeline deal with Turkey for the sake of saving Syria. It’s with this in mind that Erdogan has thus far refused to be resolute in his latest military adventure, despite extraordinary pressure from the US to immediately do so, and why he might be willing to reconsider any forthcoming large-scale offensive if Russia can sweeten the deal with something more than a gas price discount (whatever that might happen to be). Erdogan’s public rabblerousing about this sensitive bilateral issue is overly theatric and indicates a lack of sincerity when it comes to his position. Had he truly felt this way and believed that the issue was such an impediment to relations with Russia, then the characteristically loud-mouthed politician wouldn’t have bit his tongue for over a year and a half until now. What’s more probable, then, is that he’s timed his ‘policy announcement’ for when it would be most effective in rallying his domestic audience, which makes sense when one figures that he’ll likely call early elections to end the political deadlock plaguing his government’s formation. Equally important in this case as the early electioneering motivation, Erdogan is betting that he can use his Crimea policy as yet another negotiating chip in his pipeline ploy against Russia. In all truth, Moscow doesn’t really care which countries formally recognize its reunification with Crimea because it’s already a fait accompli as it is, but of course, those that do (whether silently or publicly) are accorded with certain political-economic benefits. In this case, however, Turkey is playing a much more high stakes game than merely bargaining its recognition of Crimea’s reunification for a sizeable gas discount. Erdogan’s previously cited statement indicates that Turkey is “taking every step and conducting all necessary negotiations in order to overcome pressure and difficulties [Crimean Tatars] are facing” in Crimea, which is a loud signal that Ankara might support terrorist activity by its ethnic relations there against Russia just as it does with the Uighurs in Xinjiang against China. It’s not forecast that Ankara would go that far, but it seems as though it’s intimating as such in order to pressure Russia into a more favorable gas deal, no matter how risky and unethical this ‘negotiating tactic’ may be. Erdogan will never succeed in courting voters from the Republic People’s Party, the main oppositionists staunchly opposed to his rule (and receivers of 24.95% of the popular vote last time around), but he knows that he can have a lot more success in doing so with those affiliated with the Nationalist Movement Party (which scored 16.29% of the tally). Thus, his ‘hard ball’ behavior over the Balkan Stream pipeline makes a lot more sense, since he knows that this will be received quite positively by the nationalist elements in society. Amid other potentially favorable attributes that Erdogan could cultivate before the likely early election (such as his ‘tough on terror’ persona via the dual offensives), this might be the one factor that tips some nationalist voters over the edge into supporting his candidacy. Overall, one mustn’t preclude the lengths that Erdogan will desperately go to in ensuring that his party clinches the parliamentary majority that he so feverishly wants, even if this includes tarnishing his government’s business reputation by behaving in an irresponsible and unprofessional manner towards a major strategic partner. Out of the three studied instances, the decision to suspend negotiations on Balkan Stream’s construction is obviously the one most directly related to Turkey’s pipeline considerations. Erdogan is keenly aware of the geostrategic necessity that Russia sees in building Balkan Stream, ergo why he knows that any strategically engineered disruption that he could pull off would garner the immediate attention of the Kremlin and place him in a more advantageous position to dictate his wants to Putin. Turkey is thus exploiting its role as Balkan Stream’s initial transit country in order to squeeze financial benefit from Russia, which sounds like a foolproof and profitable (albeit unethical) plan until one fathoms exactly how far Ankara misstepped in its War on the Kurds and how this egregious miscalculation might directly end whatever advantageous negotiating position Erdogan formerly thought he was in. Much to Erdogan’s dismay, the story of his early electioneering and pipeline posturing gambit doesn’t have an entirely happy ending. On the one hand, it’s increasingly likely that his AKP party will attain their fabled parliamentary majority as a result of Erdogan’s political manipulations, but on the other, the cost of doing so has been to hamper Turkey’s negotiating strength when it comes to Balkan Stream. This is largely credited to the Kurdish attack against the Baku-Tbilisi-Erzurum (BTE) pipeline, which despite being scheduled to be shut down this month for repairs and thus of negligible impact to Turkey’s energy security (or that of its downstream partners), clearly signals the vulnerability that it and other lines such as TANAP have to militant sabotage. Turkey’s much-hoped-for plan to become the energy crossroads of Eurasia was originally premised on an assumption that the Kurdish-dominated southeast would remain peaceful and secure, but with Erdogan having returned the region to an indefinite wartime environment, such a grand strategic vision is now critically endangered. 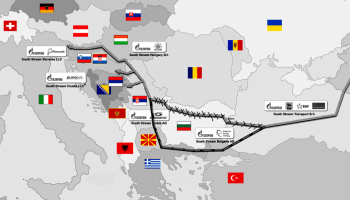 Accordingly, this state of affairs makes Balkan Stream even more important than ever for Turkey, since the pipeline’s geographic route immunizes it from the ethnic-secessionist violence that has now been proven capable of negatively affecting the country’s other energy projects. Whereas Erdogan had thought that it was Russia which needed Balkan Stream more than Turkey did, the strategic necessity is steadily moving towards a more equitable balance, since the deteriorating state of security in the country’s southeast could call into question Turkey’s ability to adequately defend the BTE and TANAP lines. It could very well be that the current Kurdish insurgency might end up becoming a prolonged campaign much as its more than 30-year-long forerunner was, which would mean that in an objectively comparative perspective, TANAP would require an incontestably costlier security investment (both in financial and physical terms) than Balkan Stream would. Additionally, there’s more of a practical will for Russia and Europe to continue their decades-established energy partnership (should they be able to weather the US’ destructive intrigues against it) than there is for Europe to bear the destabilizing potential that its Azeri-originated energy imports could fall victim to continued Kurdish sabotage. The latest explosion on a natural gas pipeline between Iran and Turkey on July 27 2015 was commited by the Kurdistan Workers’ Party. All of this comes together to place Erdogan smack dab in the center of a classic dilemma – the longer he continues his War on the Kurds, the more endangered his grand energy transit plans become (and subsequently, the more dependent he is on the creation of Balkan Stream); while any move to cut short his campaign against the Kurds (after having engendered so much supportive nationalism behind it) would be absolutely disastrous for the AKP party’s standing in a forthcoming snap election. Given how obsessed Erdogan has lately become over winning his envisioned parliamentary majority, it’s predicted that he’ll fiendishly continue with his anti-Kurdish offensive no matter what the long-term consequences are, since he sees this as his most surefire way to political godhood. His tunnel vision has shielded him from the wider repercussions of his actions, and he’s oblivious to the fact that his short-sighted electoral strategy has been destructive to Turkey’s eternal geo-energy imperatives. Erdogan is arrogantly wagering that the Kurds would accept a ceasefire of sorts after the probable early elections grant his party the expected parliamentary majority that he craves, but he’s not considering that by then, they might not even want to stop their struggle, let alone without some type of major political-economic compensation that he obviously won’t be willing to provide. The entire cyclical dynamic puts him ‘between two chairs’, as the Russians say, and this completely unenviable position is incredibly all of his own making. Erdogan latest behavior regarding Syria, Crimea, and Balkan Stream appears extraordinarily erratic for a man who some deem to be an expert geopolitical strategist. Upon closer examination, however, it’s unmistakable that these three seemingly separate instances are connected via two common threads – Erdogan’s early electioneering campaign and his attempt at pipeline posturing vis-a-vis Russia. 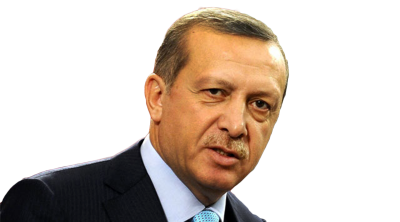 The Turkish President thought that he could have it both ways – ensuring his AKP party’s parliamentary majority in a forthcoming snap election and reaching a better negotiating position for gas imports from Russia – but in his crazed pursuit for political power, he remarkably miscalculated the consequences that it would have for his country’s energy interests (even those irrespective of Russia). Erdogan’s War on the Kurds has opened up the real risk that the BTE and TANAP energy infrastructure in the southeast could become a continued target for rebellious militants, thus throwing Turkey’s grand strategic plan to become the energy crossroads of Eurasia into jeopardy. Parallel to that, this threat has correspondingly elevated the significance of Balkan Stream to unheard of heights for the country, since it’s in actuality the only secure and reliable energy route available in the event that the current Kurdish insurgency is indicative of a more robust and prolonged campaign against the government. All said, Erdogan might finally end up with his sought-after parliamentary majority, but the enormous costs that this entails to the country’s unity and perpetual energy interests might leave many Turks wondering whether it was ultimately all worth it.